BONTOC, Mountain Province – Three true-bloodied sons of this landlocked province were honored by the provincial government for their successful and exemplary achievements and performance of their duties and responsibilities during the province’s 51st founding anniversary program held at the Eyeb grounds here Friday. Superintendent Byron F. Allatog, chief of the Bogo City Police Office, led the honorees after his popular bloodless campaign that made Bogo City the first drug-free city in the country gained the attention of the international media and human rights groups at the height of the present administration’s aggressive campaign to curb the proliferation of illegal drugs in the country. The provincial government, through Assistant Provincial Health Officer Penelope A. Domogo, also announced the winners of the Search for the Healthy Places in the province which is a project of the Provincial Collation on Health Lifestyle. Topping the barangay level for the search is Chupac, Barlig followed by Bagnen Oriente, Bauko and Namatek, Sabangan which placed third. In the elementary school category, Banawel Elementary School in Natonin placed first followed by Sacasacan Elementary School in Sadanga while Leseb Elementary School in Bauko and Canabo Elementary School were tied for third place. In the high school category, Namatek National High School was adjudged first place followed by Otucan-Bila National High School while Kadaclan National High School in Barlig and Botigue National High School in Paracelis were also tied in third place. Gov. Bonifcaio C. Lacwasan, Jr. expressed his gratitude to the officialdom of the province and the 10 municipalities as well as the people for their active participation in the various activities lined up by the provincial government for this year’s festivities that helped promote the Lang-ay festival as one of the much awaited crowd drawing events in the region to date. “We encourage our people, especially the youth, to continue working on the gains of the province a in the staging of its own crowd drawing event and for them to provide the needed inputs that will ensure the introduction of innovations that will keep our visitors frequenting the province annually because of expected new attractions in our festival,” Lacwsan stressed. 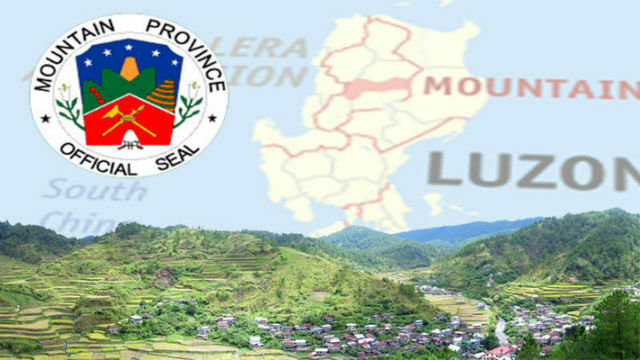 Mountain Province was established as a province on March 25, 1967 while the first set of provincials took their oath of office before former President Ferdinand E. Marcos on April 7, 1967. Lacwsan underscored the sustained preservation and protection of the province’s rich culture and traditions is one of the priorities of the provincial government in coordination with concerned government agencies because the diversed culture of the people in the province has enticed visitors to frequent the province year round that has greatly contributed in improving the growth of the local tourism industry. The governor claimed today’s youth must sustain established efforts to pass on the diversed culture of the people for the benefit of the present and future generations. For his part, Kalinga Rep. and Mountain Province caretaker congressman Allen Jesse C. Mangaoang congratulated the officialdom and people of Mountain Province for the sustained success of the province’s Lang-ay festival and surely, former provincial officials who initiated the conduct of the crowd drawing event will be satisfied on how the provincial government was able to elevate the status of the festival to its present magnitude. Despite being scattered around the world, Mangaoang pointed out Cordillerans are able to mingle with other tribes without forgetting their own culture and traditions which they had been practicing and nurturing through decades. He challenged the young ones to continue advancing the gains of the festival and innovate the conduct of the events so that people will be lured to consider the province as their preferred destination when going out of their places to spend a well-deserved break. Mangaoang emphasized that Mountain Province will surely go a long way in terms of getting its share from the foreign and domestic visitors in the country because of its pristine environment, hospitable people and well preserved culture unique from the culture of the other tribes in the country.